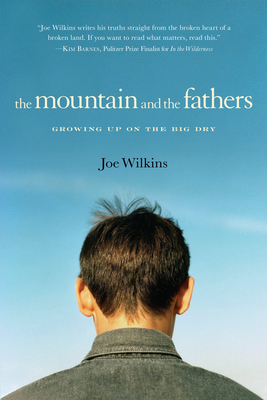 The Mountain and the Fathers explores the life of boys and men in the unforgiving, harsh world north of the Bull Mountains of eastern Montana in a drought afflicted area called the Big Dry, a land that chews up old and young alike. Joe Wilkins was born into this world, raised by a young mother and elderly grandfather following the untimely death of his father. That early loss stretches out across the Big Dry, and Wilkins uses his own story and those of the young boys and men growing up around him to examine the violence, confusion, and rural poverty found in this distinctly American landscape. Ultimately, these lives put forth a new examination of myth and manhood in the American West and cast a journalistic eye on how young men seek to transcend their surroundings in the search for a better life. Rather than dwell on grief or ruin, Wilkins' memoir posits that it is our stories that sustain us, and The Mountain and the Fathers, much like the work of Norman Maclean or Jim Harrison, heralds the arrival of an instant literary classic. Joe Wilkins lives now with his wife and two young children on the north Iowa prairie, where he teaches writing at Waldorf College. His poems, essays, and stories have appeared in The Georgia Review, The Southern Review, The Missouri Review, Harvard Review, Mid-American Review, Beloit Poetry Journal, The Sun, Orion, and Slate. His work has won numerous awards and honors, and he is the winner of the Richard J. Margolis Award of Blue Mountain Center, which goes to "a promising new journalist or essayist whose work combines warmth, humor, wisdom, and concern with social justice."